With the recent release of the Netflix movie To All the Boys I've Loved Before, based on the YA novel of the same name by Jenny Han - which, by the way, is incredible, and if you haven't seen it yet, you must remedy that ASAP - I have been thinking recently of other YA novels that would make great movies, or even TV shows. 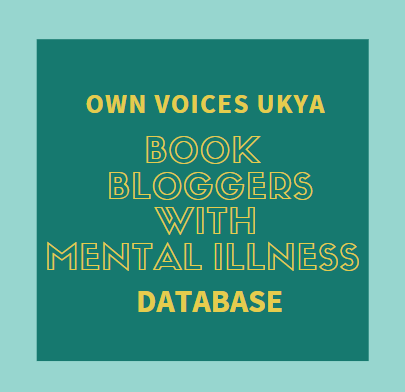 Now, there are a few that I would absolutely love to see, but to so that I don't end up repeating what I've said in recent previous posts, I'm not going to discuss the books by Laini Taylor and Heidi Heilig, all of which should be made into movies (and should already have been, in my opinion! ), so I'll share some other books I would love to see on the big screen. However, when his mother is found stabbed before an award ceremony and his sister is nowhere to be found, Pete is dragged into a world of espionage and violence where state and family secrets intertwine. Armed only with his extraordinary analytical skills, Peter may just discover that his biggest weakness is his greatest strength From Goodreads. This book! 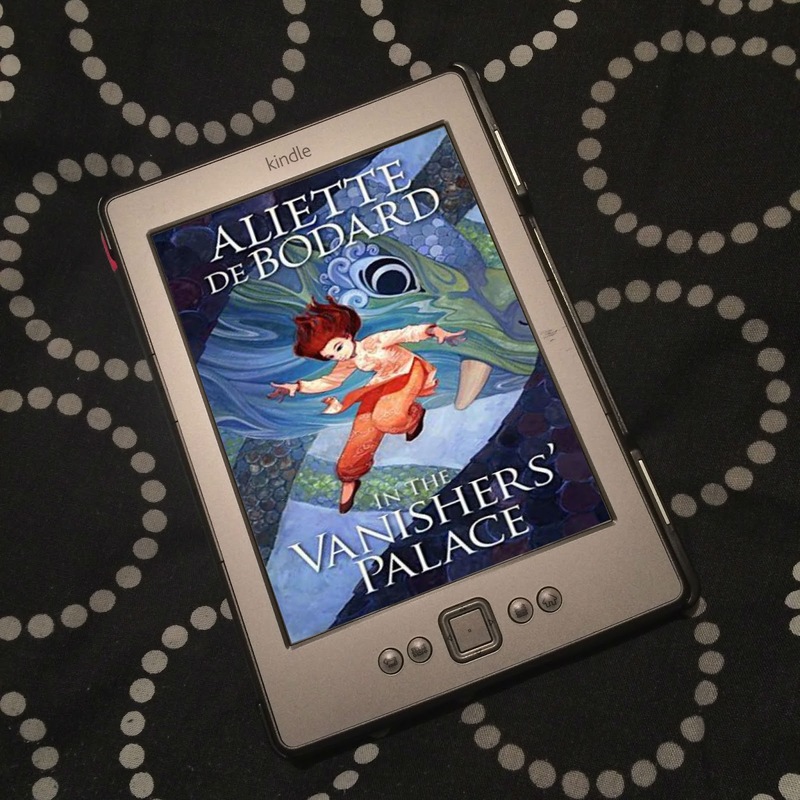 It's so fast-paced and action packed, and full of twists and turns I didn't see coming at all! Mate, it was incredible! 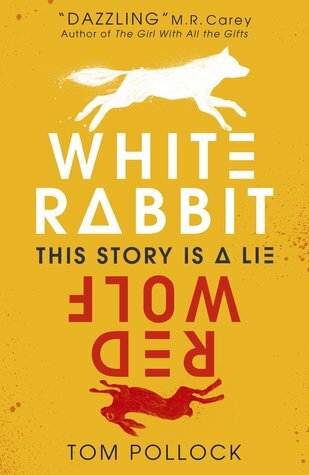 Not only do I think it's a no-brainer to make White Rabbit, Red Wolf into a movie, I also think it would translate perfectly from book to screen. And with a protagonist in Peter who has a panic disorder, it would be bloody fantastic to have that representation in a movie. A person with a panic disorder as the main character of an exceptionally mind-blowing thriller? It would be bloody brilliant. Read my review. When Finch and Violet meet on the ledge of the bell tower at school, it's unclear who saves whom. And when they pair up on a project to discover the 'natural wonders' of their state, both Finch and Violet make more important discoveries: It's only with Violet that Finch can be himself - a weird, funny, live-out-loud guy who's not such a freak after all. And it's only with Finch that Violet can forget to count away the days and start living them. But as Violet's world grows, Finch's begins to shrink. From Goodreads. All the Bright Places absolutely broke my heart, and if it was made into a movie, I don't think I would survive it. In the best possible way. I want to see these two teenagers who are suffering find each other, and see their romance blossom. I want to see the interesting landmarks they go and visit. I want to see them affect each other and change their lives. And to see that ending. To watch this story as a movie, knowing that true events the author experienced inspired it (though it's not the actual story of what happened) would be an experience. It would be terrible, but it would also be beautiful, and it would kill me. Read my review. 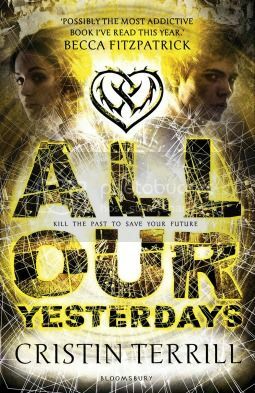 It has been quite a while since I read All Our Yesterdays, but oh my god, it was bloody fantastic! another twisty-turny thriller, but a sci-fi one, this time, about a guy and a girl who have to go back in time to prevent an unimaginable future from coming to pass. All Our Yesterdays is amazing! It jumps back from the present day with Em in her cell, back to the past, and the lead up to what needs preventing. It's so difficult to discuss without spoilers, but maaate, it was so good! And it would make an absolutely incredible movie, and I can't understand why it hasn't been picked up yet! Read my review. Lillia used to trust boys, but not after what happened this summer. And she’ll do anything to stop the same thing happening to her sister. Kat is over the rumours, the insults, the cruel jokes made at her expense. It all goes back to one person - her ex-best friend - and now it's payback time. Four years ago, Mary left town because of a boy. Now that she’s back, she's going after him and she's going to make him pay. Three very different girls who want the same thing: revenge, sweet revenge. And they won't stop until they've each had a taste. From the blurb. Yup, another book by Jenny Han, one she co-wrote! 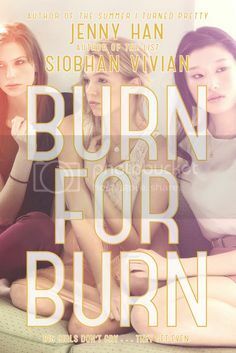 Burn for Burn is the first in a trilogy, and it's the trilogy as a whole that I would love to see on the big screen, because, ooooh, how things get twistier and more dangerous as the story goes on! I love these books of seeking revenge, the lengths they go to - not too bad at first, but increasingly worse, and with the outcome never quite what they wanted. This series is incredible, and with where the story leads... oh man, these books would make such incredible movies! So exciting! Read my review. But only Penny sees what others cannot. And she will be forced to choose: save Bo, or save herself. From Goodreads. 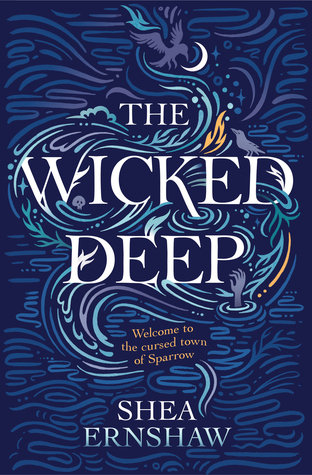 Aah, The Wicked Deep was so good! So atmospheric and captivating, and just wonderful! I really think the way this story switches from the present - where Swan Season is accepted and feared, where everyone believes that the deaths are linked to the Swan sisters, but are they? - to, occasionally, the past, where we get to see the Swan sisters, see what they were really like, and what led to their deaths. There were some things about the story that I did see coming, but others that I didn't, and I was kept on the edge of my seat throughout. This atmospheric, enchanting, and possibly witchy story would make a fantastic movie in my opinion, and it would be really interesting to see how what Penny sees translates to the screen! I would be first in line for tickets. Read my review. One stormy Irish summer night, Olive and her best friend, Rose, begin to lose things. It starts with simple items like hair clips and jewelry, but soon it's clear that Rose has lost something much bigger, something she won't talk about, and Olive thinks her best friend is slipping away. Unless it's leading them toward things that were never meant to be found... From Goodreads. Another atmospheric and witchy book - though without the witches. 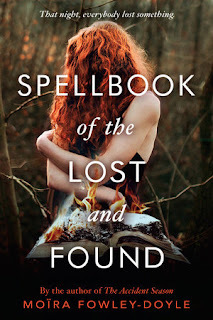 Spellbook of the Lost and Found was incredible, and I was completely enchanted by the story and the writing, and the mystery! Why are things going missing? How does the spellbook bring them back? What is the connection between Olive and Rose and the three strangers? What on Earth is going on? Maaate, it was so good! I will read anything Fowley-Doyle writes, and I would absolutely love to see this story - and her debut, The Accident Season - play out on the big screen. They would make such bewitching movies! Read my review. 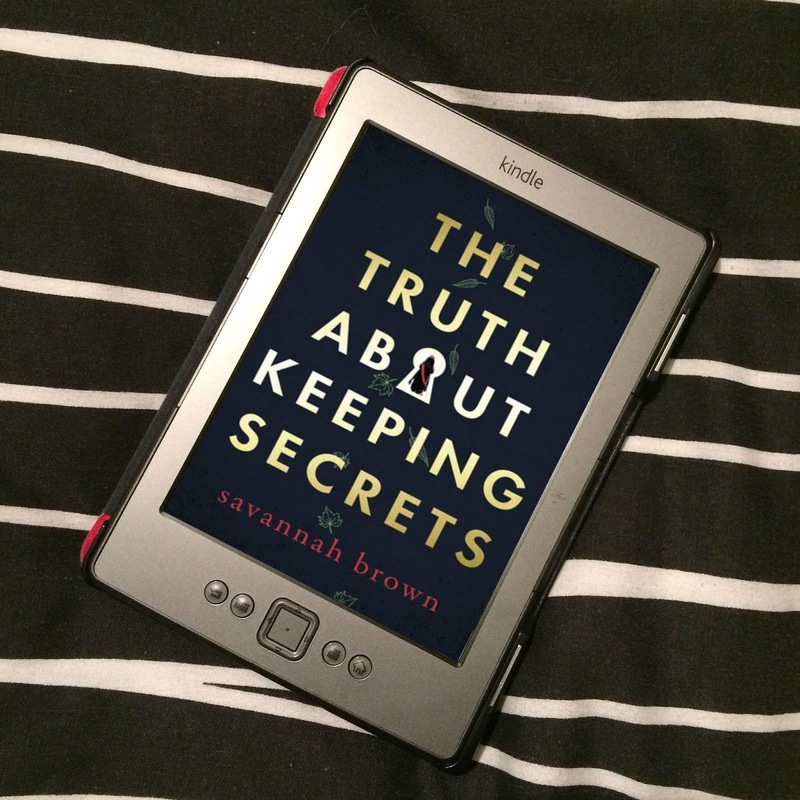 This beautifully-written thriller will grip you from its very first page From Goodreads. And again, another atmospheric and witchy book! Can you tell they're kind of my jam? But this one is with quite the twist. River becomes obsessed with the Grace siblings when she moves to their town. There are rumours flying around that they are witches, and have a respect that is born of awe and fear. The power they have, due to their reputation, mean they are popular, and move easily through school and town. But River needs to know if they are witches, and wants to become one of them. 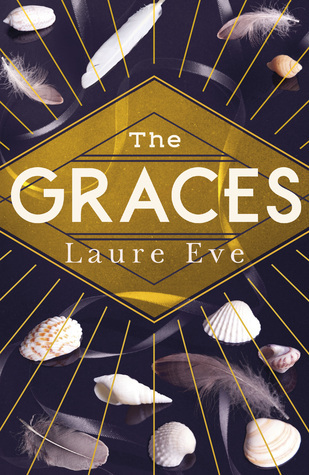 The Graces is an exciting yet uncomfortable thriller, what with River's obsession, but the mystery surrounding the Grace siblings is completely captivating, and like River, you want to know all you can. But there are twists and turns, and this book is just brilliant! Another one I would absolutely love to be made into a movie! It's just amazing! Read my review. This book! 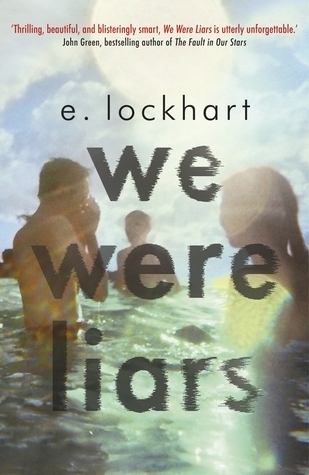 Ok, We Were Liars is a very short read, and the description gives barely anything away, but it's another mystery that will keep you turning the pages, with twists that will hit you like a sucker punch! I think it would be really interesting to see how they would translate this story to the screen, how they would work certain elements of it. Oh mate, it would make such a fantastic movie! My review. Cinder, a gifted mechanic in New Beijing, is also a cyborg. She's reviled by her stepmother and blamed for her stepsister's sudden illness. But when her life becomes entwined with the handsome Prince Kai's, she finds herself at the centre of a violent struggle between the desires of an evil queen - and a dangerous temptation. From Goodreads. This is a retelling of Cinderella, and yes, we all know the story, but if they can make other versions of the story into movies, like Ever After, they can do this one, too. 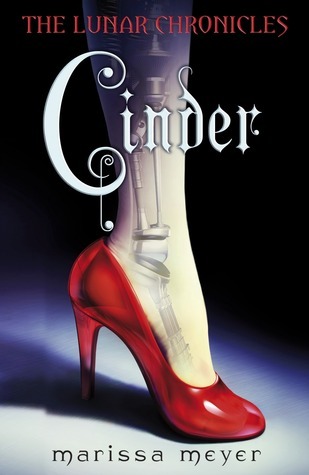 A sci-fi Cinderella set in the future where Cinder is a cyborg, and there is a plague, and a cast that is almost completely East Asian! As long as, if a movie was made, the movie fixes the mistakes surrounding culture that Cinder gets wrong. Because there is no point if they are going to make the same mistakes that have already been pointed out about this book/series. But my god, I would absolutely love to see this incredible fairy tale series on the big screen, or even as a TV show! It would just be fantastic! Read my review. A complete reinvention of Hans Christian Andersen's classic fairy tale, this is a magical-realist fable that captures the essence of sacrifice and the price of humanity. From Goodreads. 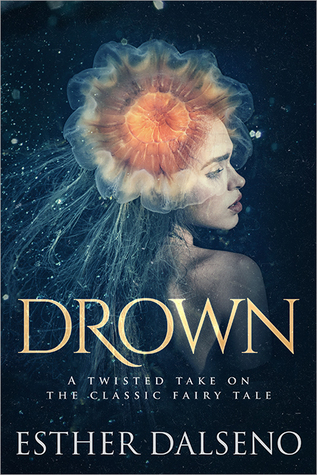 I have read a few retellings of The Little Mermaid now, and Drown is by far the best. I love how closely this story sticks to the original by Hans Christian Andersen, but I also love how Dalseno expands on the story, and makes it her own. Merpeople who don't feel emotion, an illness that is spreading through the merpeople and killing them, a prince of colour with depression, and a mermaid who has become human who is finding the world above the ocean very strange indeed. I think this would make such an incredible movie, especially with all the added elements and original touches. It would just be gorgeous and tragic, and I would love it! Read my review. 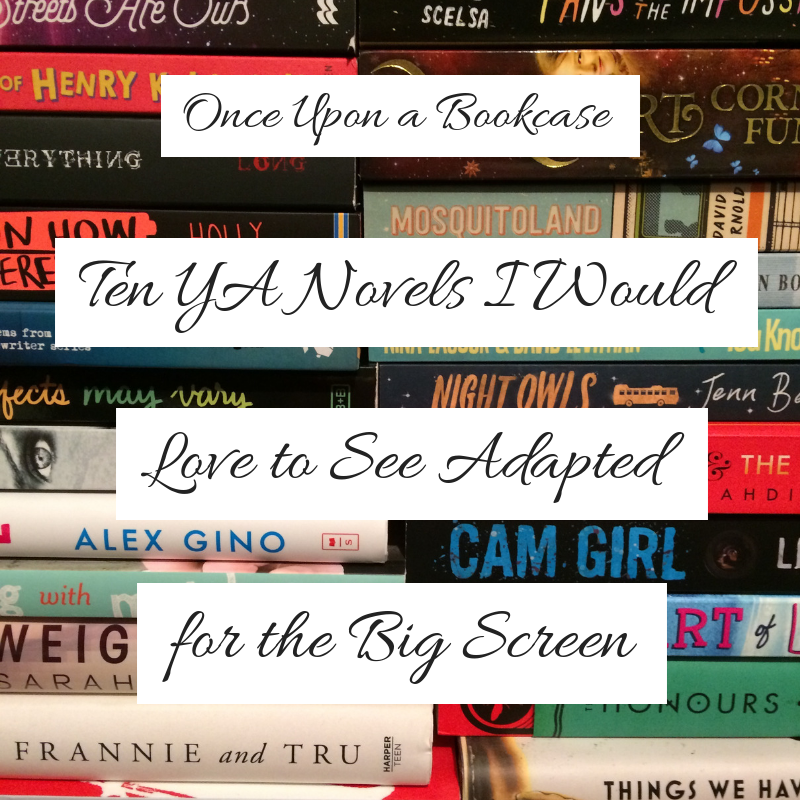 So those are just some of the YA novels I would definitely want to see as movies in the cinema! How about you? Any here you would also love to see on the big screen? Any I haven't mentioned that you'd want to see? Any that you don't? Let me know in the comments! Yesss to this list! But good news is All the Bright Places IS becoming a movie. 😂They've got Finch and Violet cast now ajfkdlsad I'm so excited and ready to be DESTROYED by it. *cries already* And I'm reading White Rabbit Red Wolf right now and already totally love it and agree it'd be an amazing movie!! 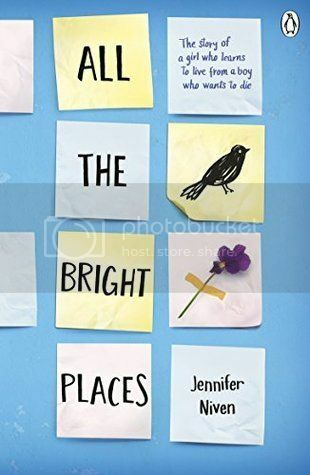 Oooh, didn't know All the BRight Places was becoming a movie! That's so exciting! I'm going to have to look it up! Thanks for letting me know! Aah, I'm so glad you're loving White Rabbit, Red Wolf! Isn't it incredible?! Aaah, I loved it! I remember seeing a clip for ATBP with Elle Fanning, who I think is an awesome choice for Violet. That will be a seriously ugly cry movie for me. Well, I didn't think another Graces fan existed, so *high five*. My co-blogger and I loved the book, and it could be a really cool The Craft-type movie. *High five* Oooh, I loved it! So atmospheric and twisty, and just incredible! So looking forward to reading The Curses! And I loved The Craft, and totally agree!